Tidalis is a puzzle like ‘match 3 game’ strangely reminiscent of Tetris but with some interesting twists. Only single blocks fall, and those with arrows demonstrate the direction it’s energy stream will flow. 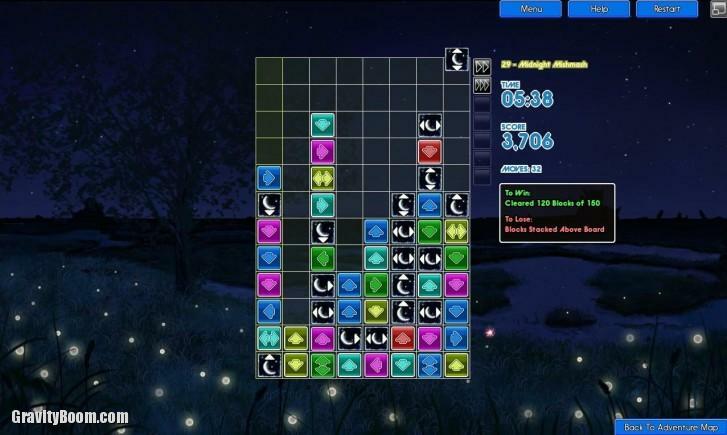 Clicking one of the blocks will start its energy stream, and if three or more blocks connect of the same color or type, that combo will clear those blocks. Don’t worry, you can change the arrow directions to set up these combos. 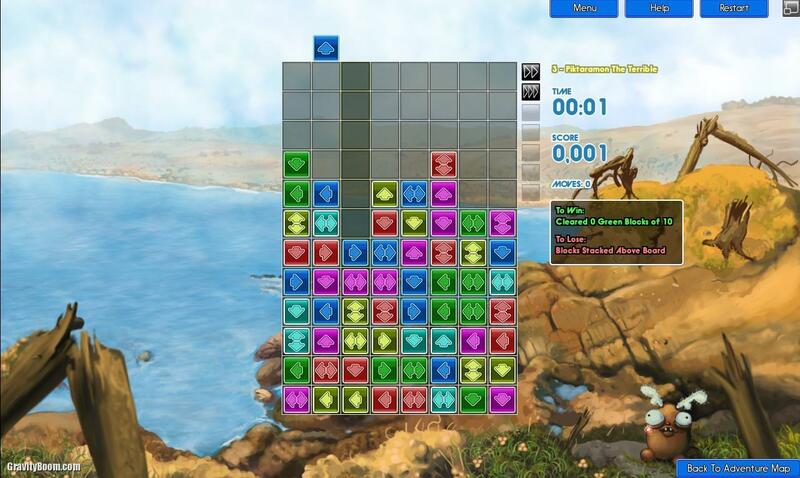 Meet the level’s objective to win, but if the falling blocks reach the top, you lose. Simple, right? Not so fast. 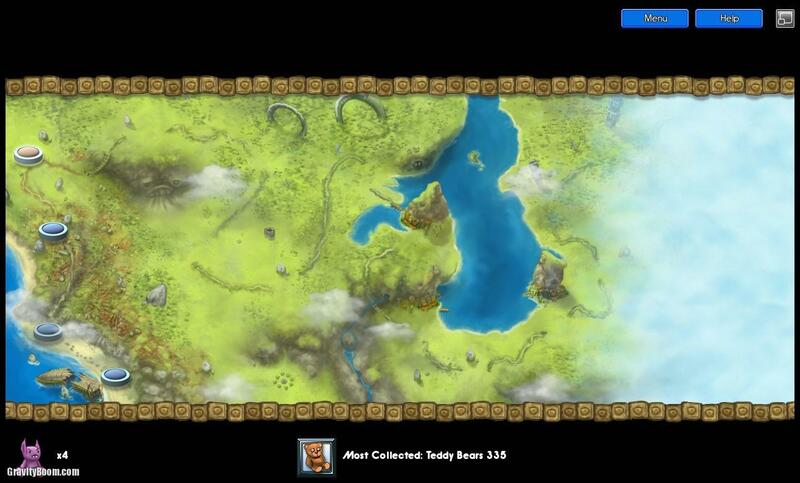 Arcen Games likes to be clever. A big part of Tidalis is chain reactions. After making a block combo, the blocks above it will fall and the ones on the bottom will automatically start streams too. If those additional streams also make combos that ‘chain reaction’ is a big score multiplier, and is needed to win some level objectives. Multiple chains can be made from starting just one stream, really racking up the points. You can aim for these chains by looking ahead and setting the directional arrows on blocks before you even start the first stream. Add in dozens of ‘special ability’ blocks and the game starts to really challenge your mind. For instance wooden blocks will block streams but can be burned away if a red combo is triggered next to it. Ice blocks also block streams but if they’re melted away they freeze the directional arrows of all surrounding blocks. Aha! 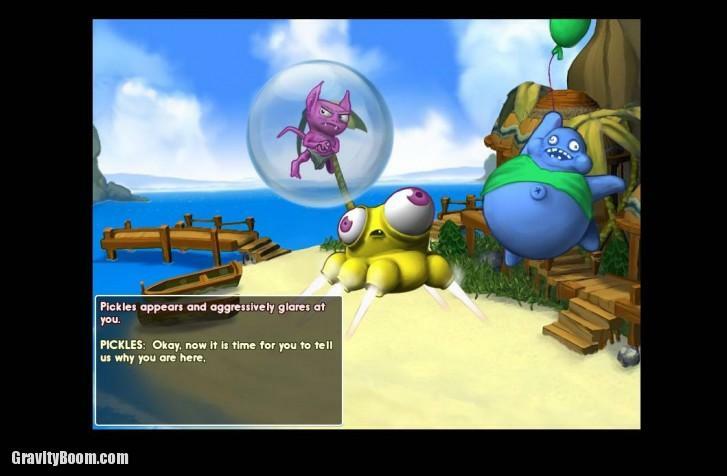 There’s over 100 levels in Adventure mode, following some bizarre story as you encounter Pickles and other odd creatures. To be honest I stopped reading after the first few cutscenes, but some people might like the fluff, especially kids. As the levels progress you encounter more special ability blocks and harder objectives, really keeping you interested for new challenges. It’s mostly single player but also supports multiplayer if you wish to play with or against a friend. Tidalis is a very casual game, and with each level taking only a handful of minutes to complete win or lose, you can enjoy a quick match whenever you like. 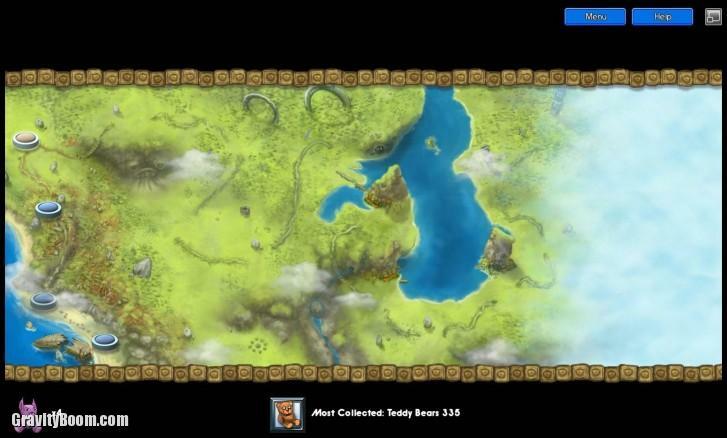 Arcen Games, game review, match 3 game, multiplayer, single player, Tidalis. Bookmark. HOARD – enter the Dragon! Video content used according to the YouTube TOS, section 6C.